As a travel editor, I think I get asked the most about what to do in Paris. And since I am most certainly no expert, and don't get to go as often as I would like, I thought it would be good to list some of the sites I go to, when I'm planning a trip there. And if you have any favorite sites or posts on Paris, tell me. 20 Little Cities has daily posts about everything that's new—museum exhibits, restaurant and store openings, and shows for kids. You can either scroll through and feel very up-to-date on what's going on, or you can look by neighborhood. My other favorite is/was Babyccino Kids...and I only say was, because it seems they haven't updated their Paris section since 2010. However, there is still really fantastic information there, and it would just need to be double checked to make sure whatever you want to go to, is still open. A new blog to me that I haven't spent much time on, but seems very good, especially for parents of under-5s, is Petit Paris. And here are some posts I found just now that have some really good information in them. I think that, when possible, it's always good to find a post where you can relate to the writer and their kids, as two boys above 6 are probably not going to relate to my posts about merry-go-rounds. Here's a Paris post from a father of two boys. 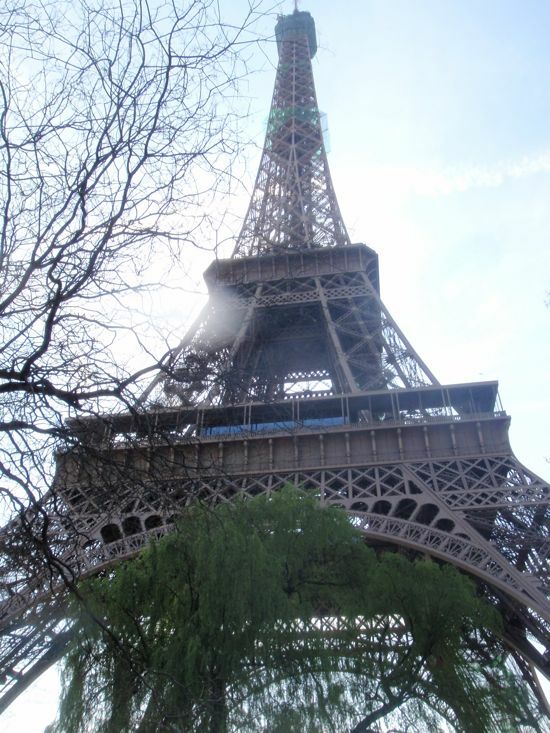 I like this blog from an American mom who lived in Paris for four years with her family. Our kids are grown but we're going to Paris in June and plan to check some of these places. Just spent a long time on the blog 'Petit Paris,' and it's totally great -- many good tips. I've heard that high chairs and booster seats aren't too big in restaurants, and she confirmed it.But of course, as she points out, there are many ways to deal with that. Thanks for the shout out. Nice to see the bump up in my stats even though I haven't blogged in a year. Paris me manque!